Jim Reynolds was a somewhat self centered history buff. A captain in the Air Force reserves, he just returned from a mission to rescue an American journalist in Lebanon. Jim was raised the son of a Baptist Deacon in Hurst Texas, a suburb of Fort Worth. Because of his interest in history, and as Jim put it another strange desire to go to the Middle East, he immediately begins planning a return trip. "A Story of Discipleship spans thirty plus years in the life of Jim as during a series of events, he surrenders his life to Christ and becomes pastor of his father's church and eventually an evangelist. In the beginning the characters consisted of Jim, his family, an old friend and his girl friend. 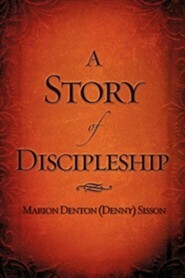 Watch the list grow at a rapid rate as Jim progresses in spiritual growth, romance and adventure Marion Denton (Denny) Sisson was raised in Roane County Tennessee. He was led to Christ by the pastor of his church in 1946. He moved to St Petersburg, Florida in 1958, where he met his wife, Linda. He moved back to Roane County in 1974. He enjoyed a career in retail in both states while raising five children. After retirement, he and his wife moved to Hillsborough County Florida, where he is enjoying a lifelong ambition to write. 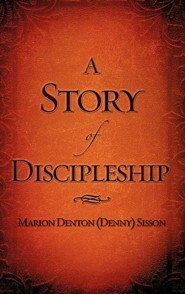 I'm the author/artist and I want to review A Story of Discipleship.